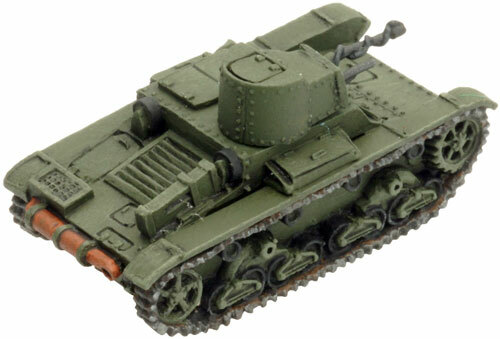 includes one T-26 obr 1932 tank with Kht-26 Flame-tank option & one Tank Commander figure. 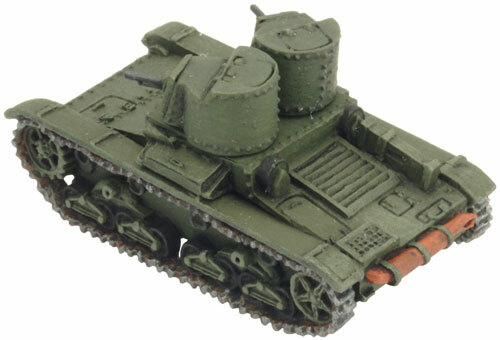 The T-26 was developed from the British Vickers 6-ton with the distinct purpose of directly supporting infantry formations. 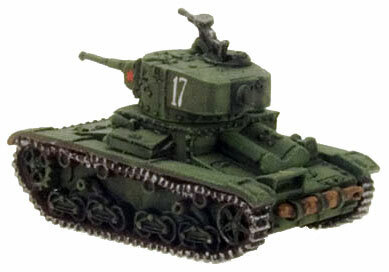 Originally designed in the late 1920s by the Vickers-Armstrongs company for the Royal Tank Corps, the design was promptly rejected leaving the designers with little choice other than to export the tank to countries that were less technically advanced in terms of tank design. 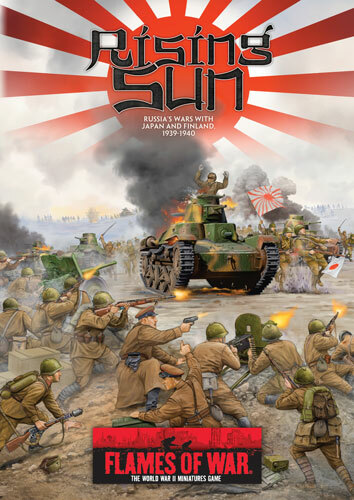 Rising Sun brings you into the Soviet Union’s wars with the Japanese and Finns on its borders in 1939. 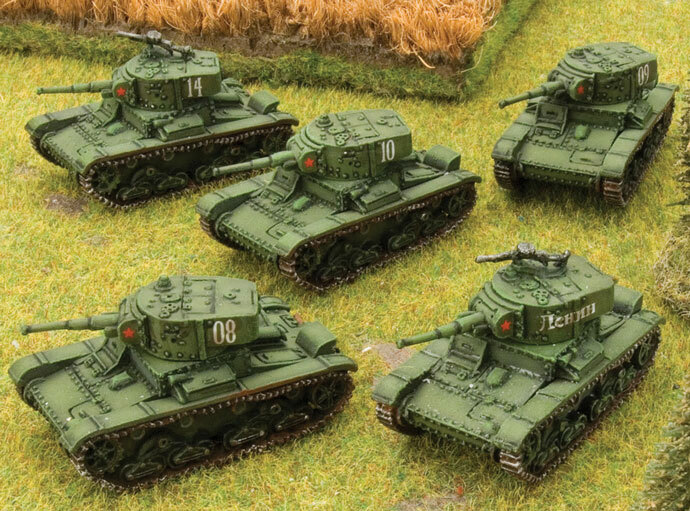 Take command of the Red Army’s tank forces, infantry or cavalry forces as you throw the Japanese back into Manchuria or fight the stubborn Finns to expand the Soviet border. The Soviets acquired several Vickers 6-tons in the spring of 1930 for evaluation and testing purposed along with a licence to manufacture the vehicle. 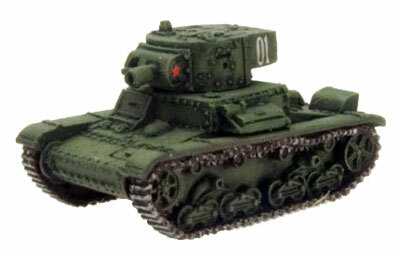 Surprisingly the design was accepted by the Red Army as the T-26 before development and testing had been fully completed. The main armament consisted of two ball-mounted 7.62mm DT machine-guns mounted in twin turrets. To avoid potential disasters, the rotation of the turrets was limited to 265°. Armour protection consisted of up to 15mm, enough to protection the three-man crew from small arms fire and shell splinters but little else. 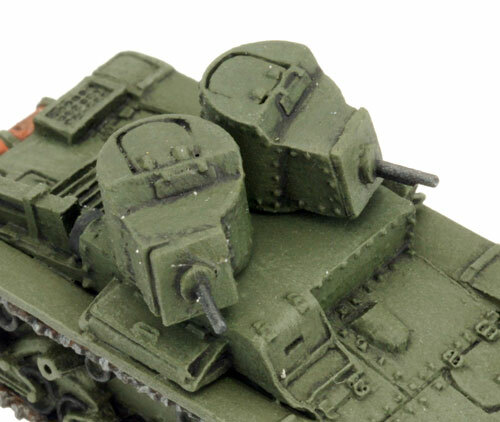 T-26 obr 1932 Slow Tank 1 1 1 Twin MG turrets, Limited vision, Unreliable. 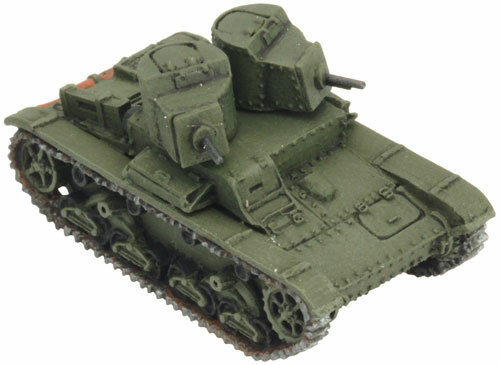 Some tank designs from the early 1930’s, like the T-26 obr 1932 light tank, had two machine-gun turrets mounted side-by-side making them lethal against infantry. Twin MG Turrets are Deck Turrets. 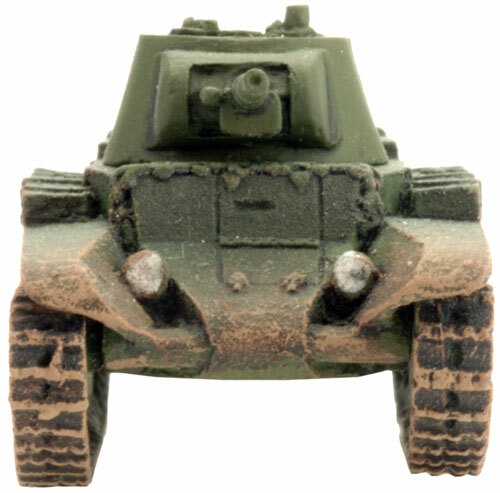 Both turrets can fire at their full ROF 3 at the same time, either at the same platoon or each at a different enemy platoon. limited the number of vision devices. 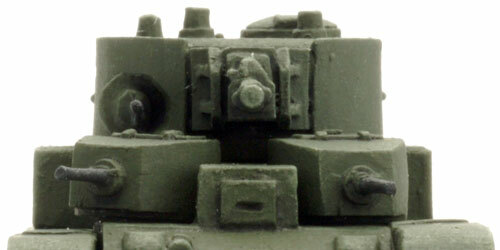 Thus, the tanks require the commander to operate as a somewhat vision-impaired gunner as well. targets that are entirely behind a line drawn across the front of the tank’s turret before they rotate their turret to face the target. 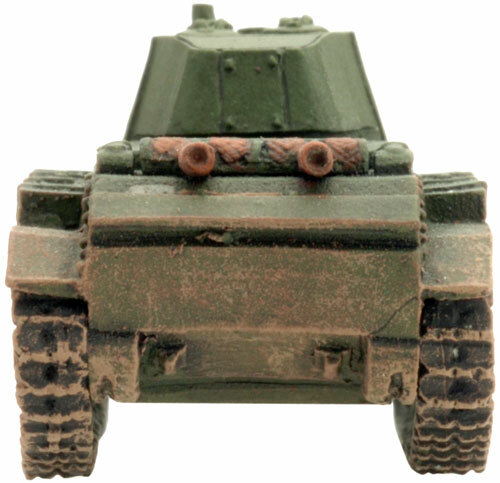 Tanks with Limited Vision must rotate their turret to point straight ahead when they move. Whether poorly designed, unsuitable for the conditions, or requiring more maintenance than current supply considerations will allow, these vehicles have a significant chance of breakdown when pushed too hard. If an Unreliable vehicle attempts to move At the Double, roll a die. On a roll of 1 the vehicle becomes Bogged Down. 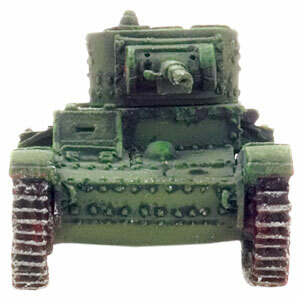 KhT-26 Slow Tank 1 1 1 Turret MG, Limited vision, Unreliable. 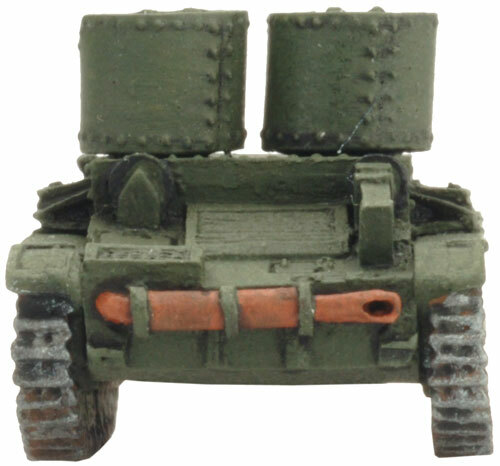 ATO obr 1933 flame-thrower 4"/10cm 2 - 6 Flame-thrower. 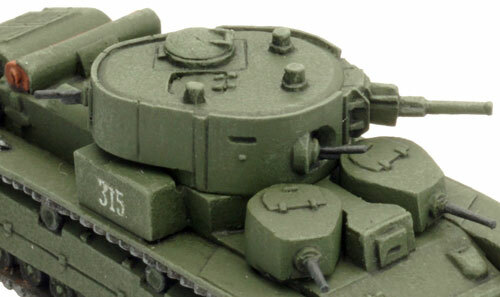 includes three T-28E turrets with AA MG option & three Tank Commanders. 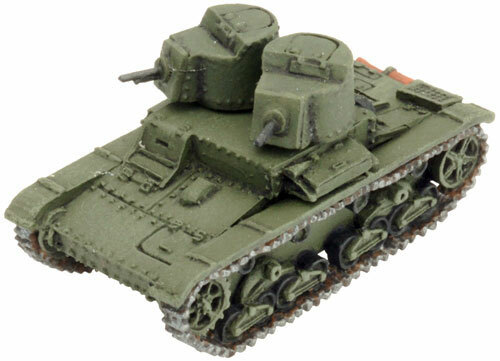 During the opening months of 1940 an attempt was made to improve the level of armour protection of the T-28 tank. 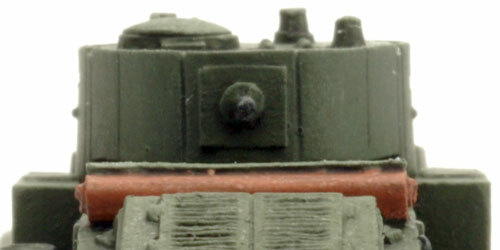 The additional armour took the form of addition plates mounted to the front and sides of both the hull and main turret. 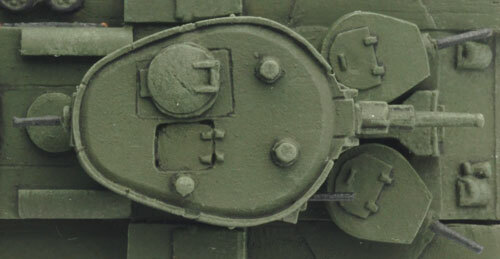 These additional plates increased the frontal armour of the turret and hull of the T-28 to 50mm to 80mm thick while the side armour increased to 40mm. 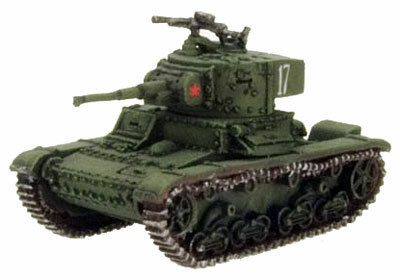 These upgraded vehicles were then designated T-28E (E meaning ekanirovki or screened). An increase in armour protection logically meant an increase to the vehicles overall weight. 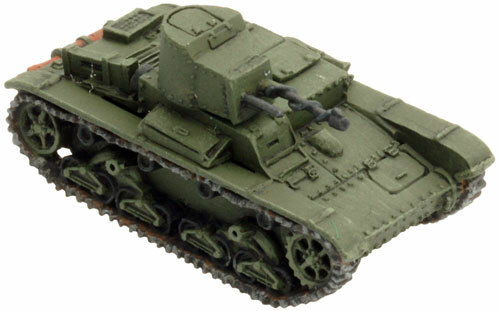 Despite the upgrade in armour, the power plant of the T-28 remained the same and the vehicles performance suffered with maximum speed plummeting to 23km/h. 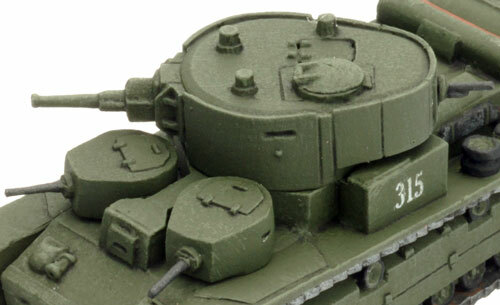 T-28E Slow Tank 4 3 2 Two Deck-turret MG, Turret-front MG, Turret-rear MG, Limited vision, Unreliable, Wide-tracks. 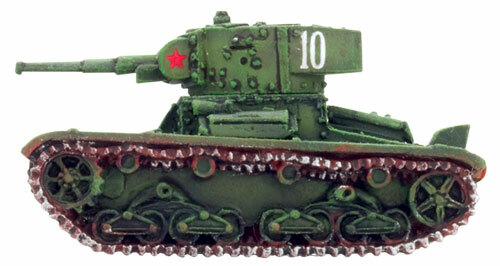 Some excellent tank designs have successfully utilised wider tracks, allowing them to cross almost any terrain. If a vehicle with Wide Tracks becomes Bogged Down while attempting to cross Rough Terrain, roll again. On a roll of 4+ the vehicle immediately frees itself and continues moving. includes twenty Winter-themed Sapper figures. Like the riflemen, the sappers get the tasks done with the minimum of fuss or complaint. These dedicated specialists clear minefields, dig fortifications, and assault enemy strongpoints. They can also lay down wire and mines to help strengthen the riflemen’s defence. Pioneer Rifle team 16"/40cm 1 2 6 Tank Assault 3.
a. 5x Sapper figures carrying box. b. 5x Sapper figures with spade under arm. c. 5x Sapper figures with spade in two hands. d. 5x Sapper figures carry satchel & rope. The Sappers (Winter) Upgrade pack is intended to be used in conjunction with the Strelkovy Company (Winter) (SBX28)box set. When modelling the Rifle teams using the Strelkovy Company (Winter) box set, simply replace two of the regular riflemen figures with two of the Sapper figures provided in the Upgrade pack. The pack contains enough figures to upgrade one Rifle Platoon from a Strelkovy Company into a Sapper Platoon. 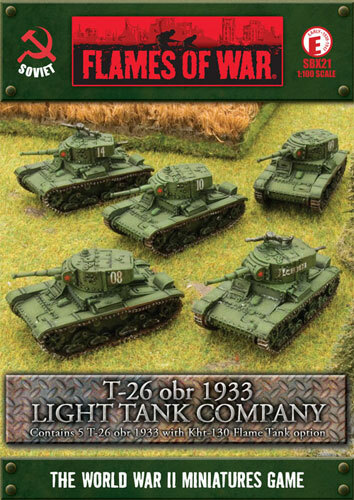 includes five T-25 obr 1933 Light Tanks with Kht-130 Flame Tank option. 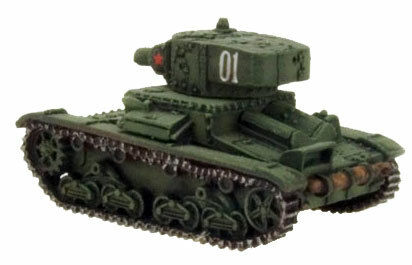 The T-26 obr 1933 light tank started life as a copy of a British tank design, but by 1939 it was one of the most common tanks in the Red Army. 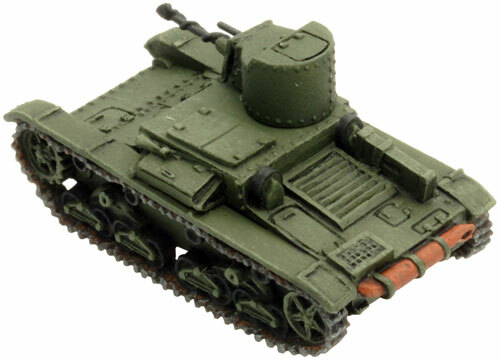 It is fitted with a cylindrical turret armed with a powerful 45mm gun. Its main role was to support the infantry where its dual purpose gun was equally effective against tanks, guns, and infantry. The first thing required by the theorists was a breakthrough of the enemy front line. The idea was that massed light tanks would advance with the infantry, destroying enemy machine-gun nests and pinning down the enemy riflemen, allowing the infantry to capture the enemy trenches. This required a relatively cheap and simple design that could be fielded in large numbers. Fortunately, the Vickers-Armstrong company were offering exactly such a design with their 6-ton Type E tank. 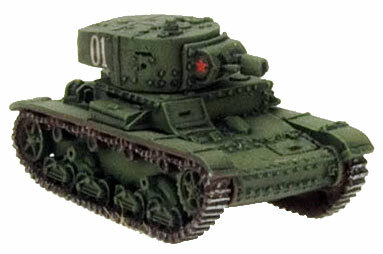 The Red Army bought some samples from Vickers and then proceeded to produce an unlicensed copy called the T-26. 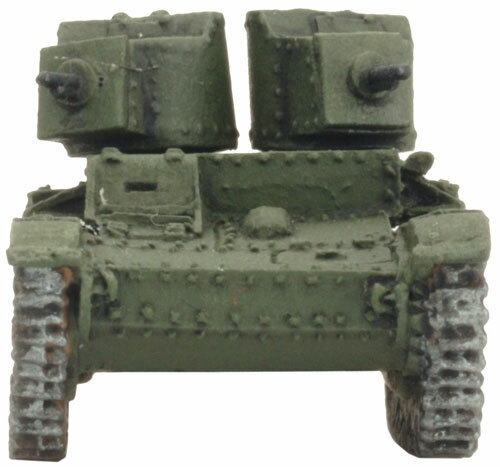 The first production model of 1932 (obr 1932) was a twin-turreted design with two side-by-side machine-gun turrets. 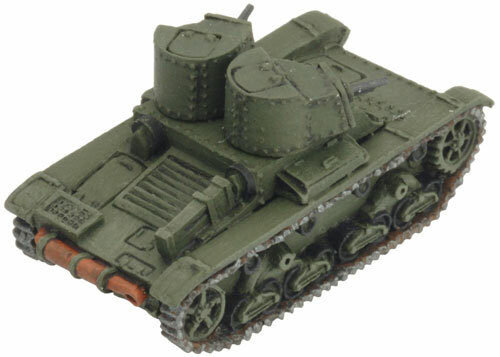 While this seemed like a good idea at the time as it appeared to give the tank twice as much firepower, it quickly became obvious that the difficulties in coordinating two turrets and a driver actually reduced its effectiveness. 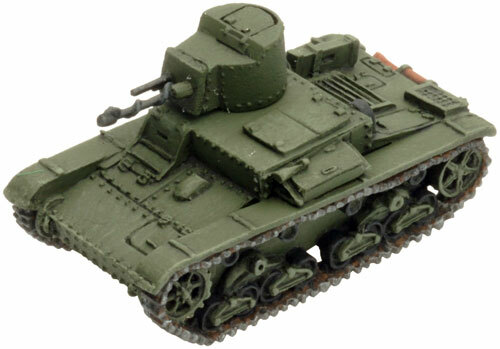 The second model (obr 1933) was more conventional with just a single turret mounting a 45mm gun and a coaxial machine-gun. 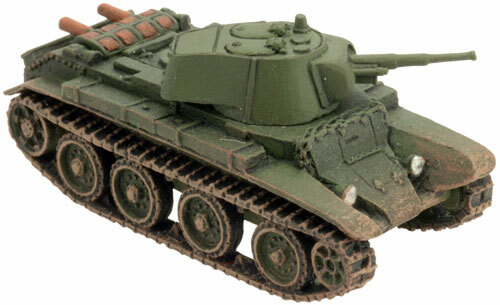 Typical of Soviet tank design, the 45mm gun was one of the most powerful tank guns in the world at the time. 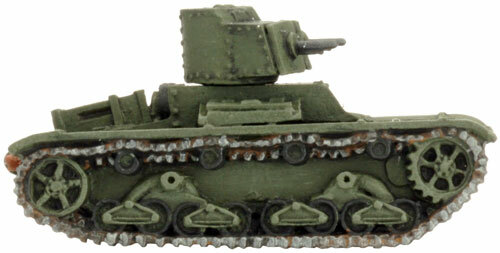 The original Vickers design mounted a low-velocity 47mm gun. While this was as effective against machine-gun nests, its anti-tank performance was woeful, especially compared with the Soviet gun. 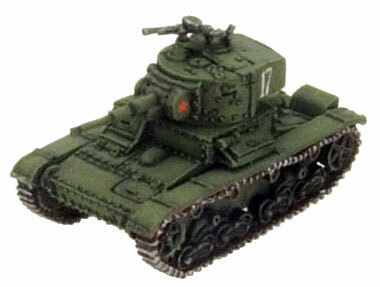 T-26 obr 1933 Slow Tank 1 1 1 Co-ax MG, Limited vision, Unreliable. 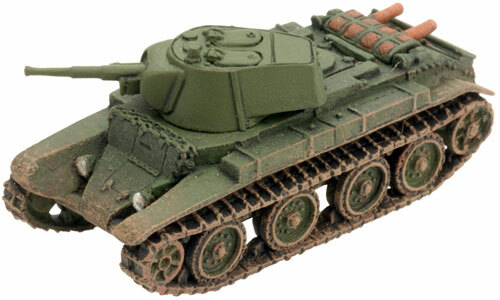 As well as a conventional gun-armed tank, the Soviet Union also created large numbers of flame-thrower tanks, nearly 10% of the entire production run. 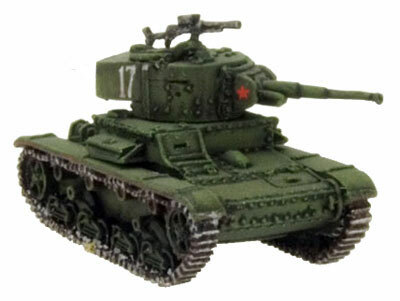 These KhT-26 and KhT-130 ‘chemical’ (hence ‘Kh’) tanks were fielded in full battalions to add even more punch to assaults on critical positions. 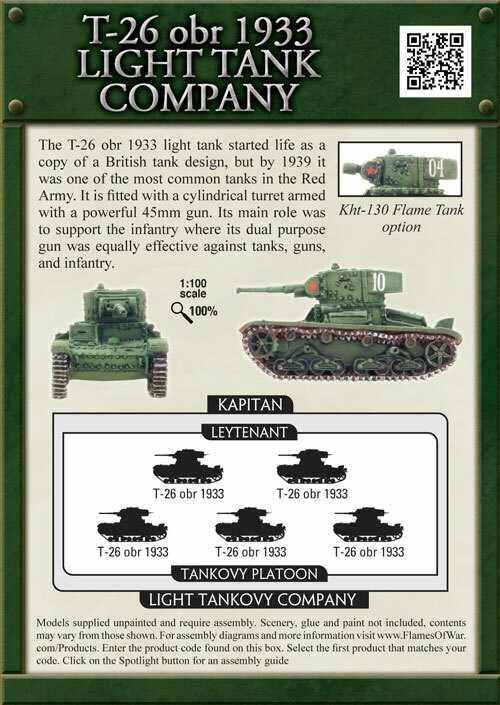 As befitted its infantry support role, the T-26 wasn’t much faster than an infantryman and its armour was bulletproof, but not much else. 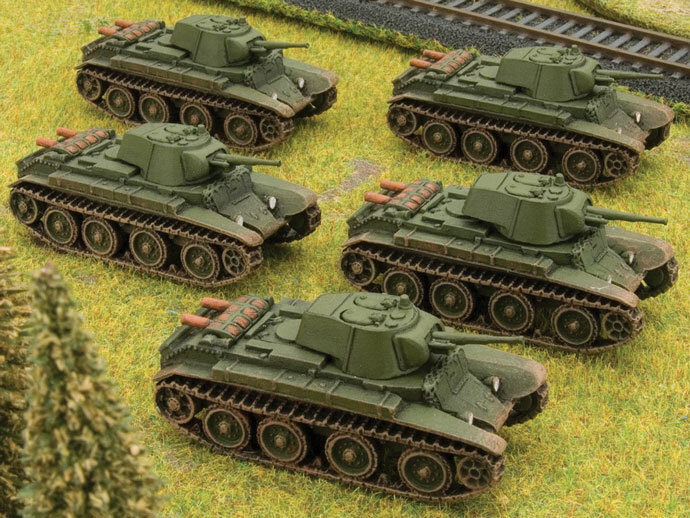 While not exactly desirable attributes, they did make it cheaper and easier to produce allowing the Soviet Union to manufacture over 10,000 of them — more than the total of all other armies’ tank production up to that point. 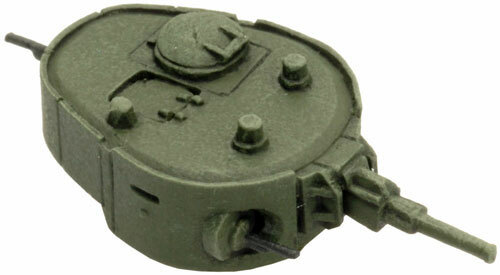 KhT-130 Slow Tank 1 1 1 Turret MG, Limited cision, Unreliable. ATO obr 1938 flame-thrower 4"/10cm 3 - 6 Flame-thrower. 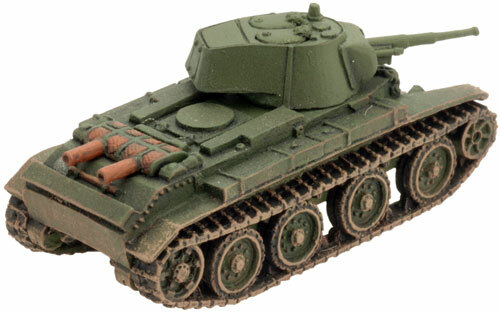 Soviet Flame-thrower tanks are an exception to the Flame Tanks Don’t Assault rule on page 199 of the rulebook and may Charge into Contact and Counterattack as normal. 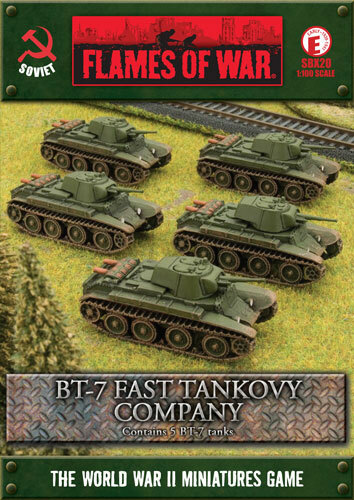 includes five BT-7 Tanks with optionall AA MG & one Tank Commander sprue. 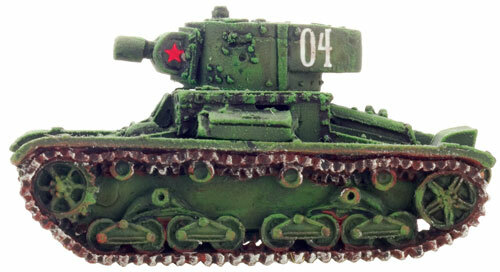 Once the Soviet infantry had broken through the enemy lines, deep operations began. These called for tank and cavalry forces to advance rapidly to take objectives up to a hundred kilometres (sixty miles) or more behind the front, surrounding the enemy and destroying them. 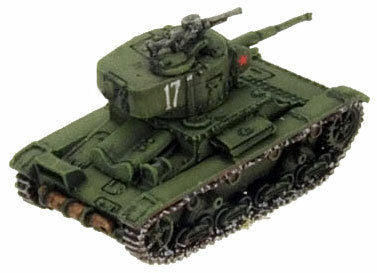 For this role the Red Army looked at a tank designed by an American, Walter Christie, and like the T-26, built unlicensed copies in huge numbers as the BT series of fast tanks. The thing that made the Christie design attractive for this role was its speed, both cross country and on roads. Its mobility came from a novel suspension system of large rubber-shod road wheels mounted on long coil springs. This allowed the wheels to absorb he shock of high-speed cross country travel, and when the tracks were removed, allowed the tank to drive at high speeds on roads. While an interesting idea, the impracticality of taking the tracks on and off the tanks in a combat situation meant that they never tried it in action. 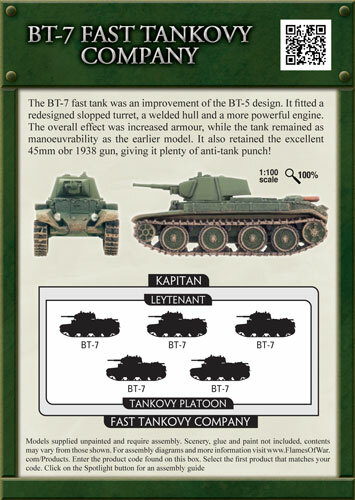 The BT-7 fast tank was an improvement of the BT-5 design. It fitted a redesigned slopped turret, a welded hull and a more powerful engine. 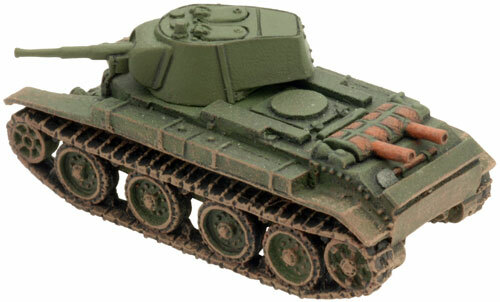 The overall effect was increased armour, while the tank remained as manoeuvrability as the earlier model. 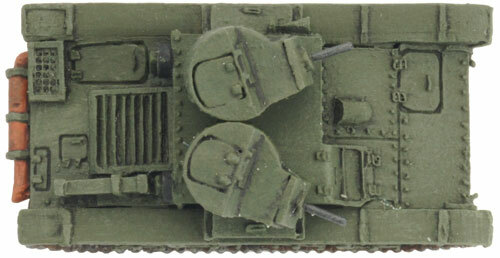 It also retained the excellent 45mm obr 1938 gun, giving it plenty of anti-tank punch! 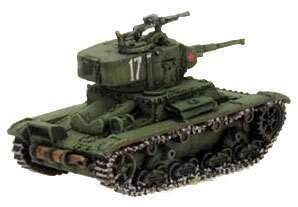 BT-7 Standard Tank 1 1 1 Co-ax MG, Fast tank, Limited vision, Unreliable. Tanks based on Christie’s design are built around exceptionally powerful engines and flexible suspensions and can really move when the throttle’s opened up.